How many other skateboarders can boast nineteen video parts (and counting) over their careers? How many of them can put out a three-song part that is well-crafted and revolutionary enough to bring the end of Lakai’s first full-length video to an earth-shattering crescendo? How many other skateboarders have a sponsor-me tape from the early ’90s that can resurface in 2015 and immediately go viral? It’s no surprise that skateboarding’s equivalent of basketball’s MJ is, well, MJ. And I’m dead serious about the sponsor-me tape. If you haven’t watched it, do yourself a favor and watch it now. While there are many notable moments in MJ history, I do want to pay homage to his part in Maple’s video Seven Steps to Heaven . Marc’s Seven Steps to Heaven part is really a testament to the fact that he can do it all. Mind-bogglingly tech, but with an appetite for stairs and rails, Marc cuts down everything in his path. 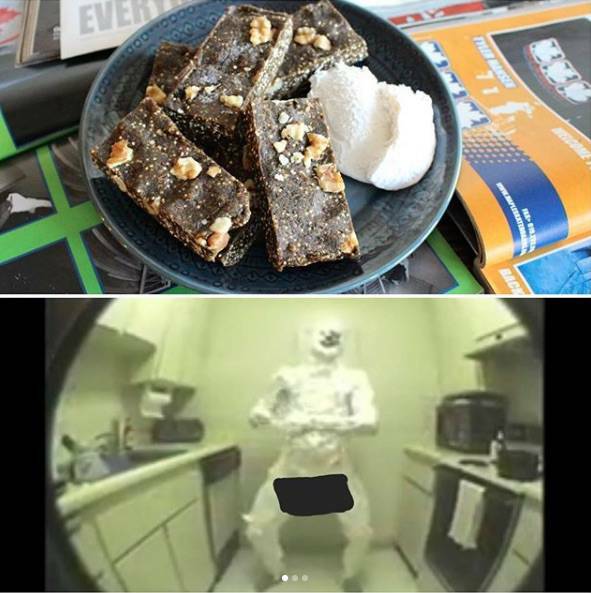 The dude has an abundant source of energy, wizardry and humor, as evidenced by an almost six-minute part followed by Marc, naked in a kitchen, covered from head to toe in shaving cream, emphatically shaking his package (for that backstory, watch his Nine Club episode). I wanted to make a recipe that would match his quirkiness and would also embrace his simplicity and his profound, understated genius (yes, I say that without any reservation). Much like he has made it a goal to cut out unnecessary complexities in his life, I wanted a recipe that embraced as few ingredients as possible while providing plenty of pre- and/or post-session carbs and protein. 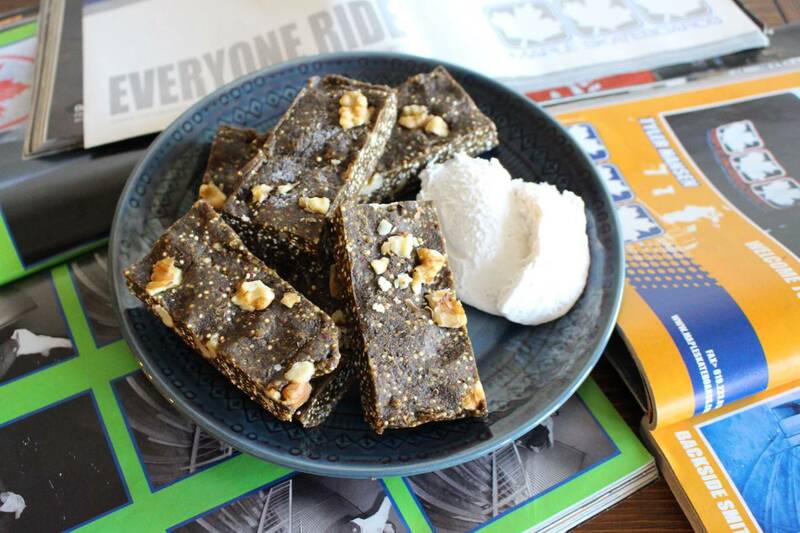 While I’ve been developing the world’s first by-skaters-for-skaters energy bar for the last six months (FLATBAR), this recipe was one of the first incarnations of the three flavors that will be launching later this month. 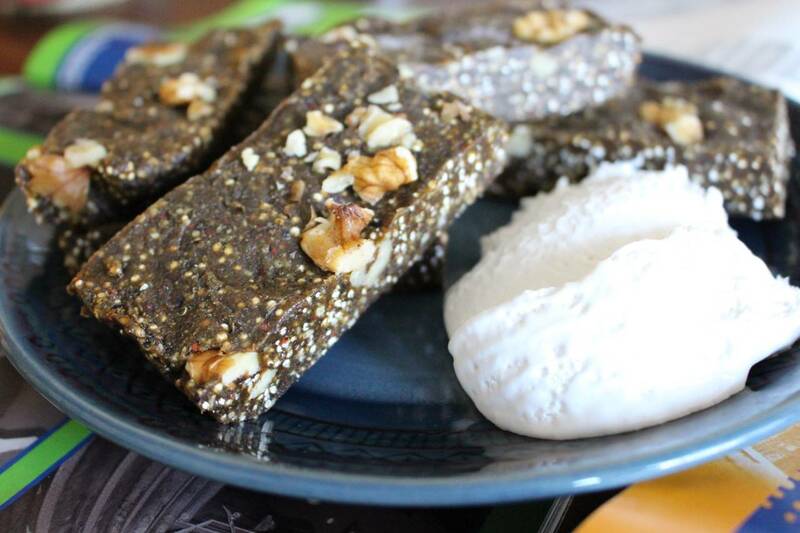 Keeping in mind the principles of a basic fruit, nut and seed bar, I wanted to craft an homage to Maple’s Seven Steps to Heaven by making seven-ingredient maple energy bars (with one bonus ingredient discussed below). I present to you: Maple: Seven Steps to Heaven(ly) Energy Bars. These are date-based, which means there are minimal added sugars and they’re loaded with potassium (medjool dates have more potassium by weight than bananas), which is an essential electrolyte to keep your body functioning during those long skate sessions. Additionally, these contain hemp protein, which is cheap, high in fiber and omega-3s and hosts a complete set of amino acids (i.e., a complete protein). 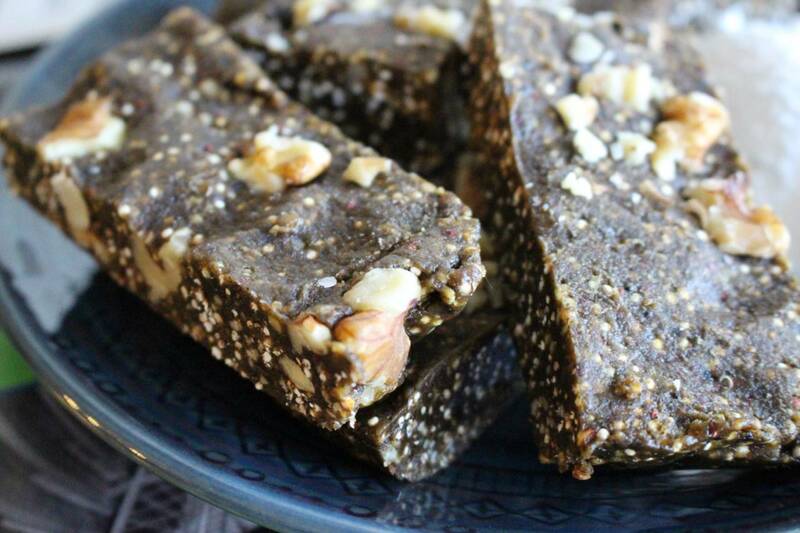 With some peanuts and walnuts for healthy fats and some quinoa for a slower digesting carb that will keep you feeling fuller, these are delicious and simple. Add some optional vegan whipped cream and complete the homage to Marc Johnson’s Seven Steps to Heaven part. Venture just released Bob’s part along with Spring Drop 2. Manny Santiago takes us behind the scenes at China’s International Skateboard Open. Watch adidas Skateboarding’s new soccer-inspired commercial. The perfect way to spend Cinco De Mayo.